Or as low as $12.42 per month over 12 months. Apply Now. 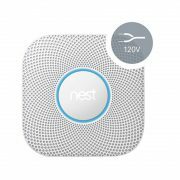 For something as important as fire safety, you want a smoke alarm you can trust and rely on. That’s what you get with the wired Nest Protect. This advanced smart device can distinguish between levels of urgency in smoke and CO levels, and sends you alerts on your smartphone immediately upon detection so you can take action right away. Ever since you found out what happened at your neighbour’s place up the street, you’ve been thinking about upgrading your smoke alarm system. 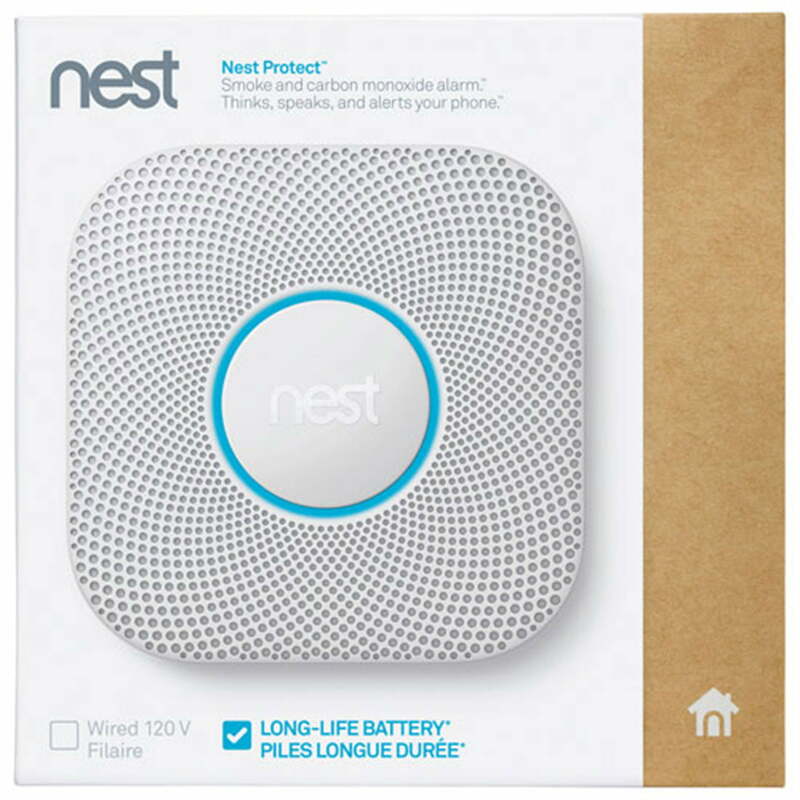 All you heard was that he narrowly avoided a serious fire, and that it was all because he’d installed a smart smoke alarm called Nest Protect. You go over to his place to find out more about it. Turns out he’d forgotten to switch off the stove and then stepped out to go to the beach. 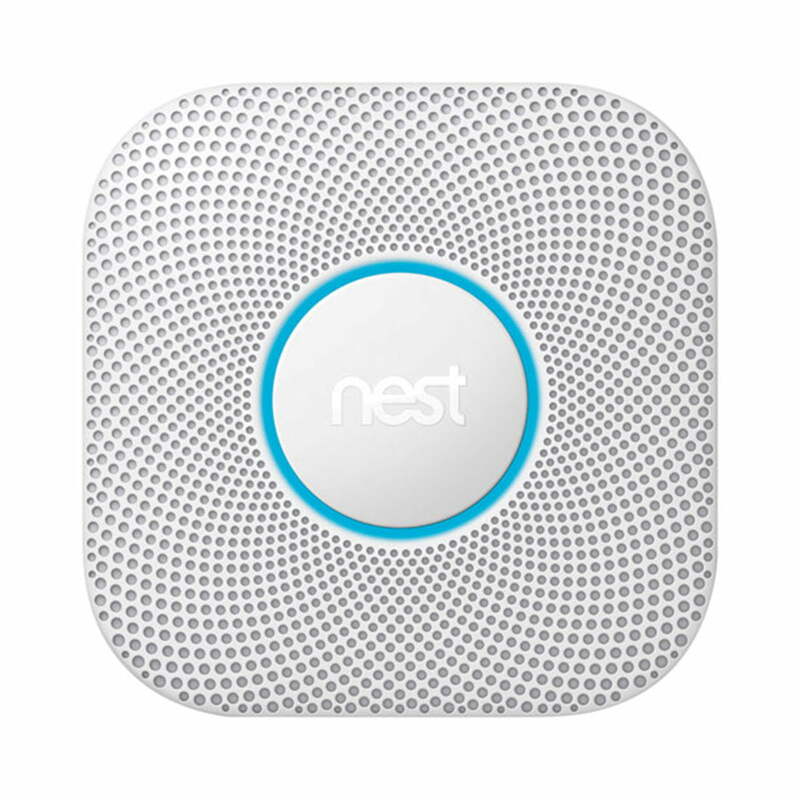 20 minutes later he got an alert on his phone via the Nest app, telling him that his Nest Protect alarm had detected smoke in the kitchen. He dropped everything and raced home in time to diffuse the situation. 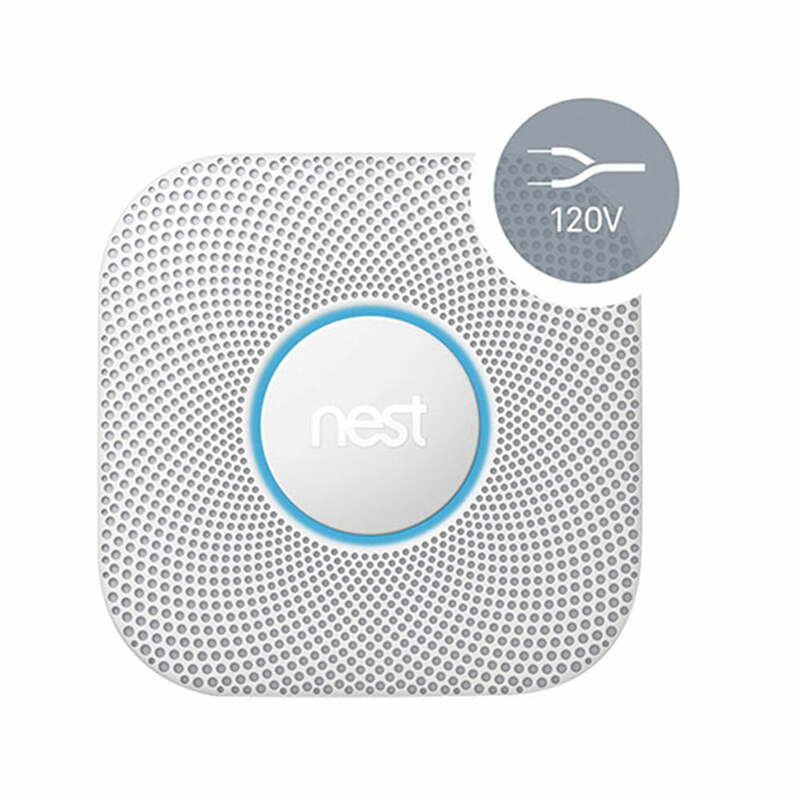 Smart detection, quick action: Nest Protect knows the difference between a concern and a full-on emergency and will alert you accordingly. If it detects a little bit of smoke or rising levels of CO, it gives you a heads-up. If it gets worse, it flashes red, activates the alarm, and talks to you, letting you know exactly what’s going on. Convenient connectivity: This device connects with your smartphone and will notify you the moment it senses something out of the ordinary at home. It’ll tell you if the alarm is sounding, batteries are running low, or a sensor is malfunctioning, giving you peace of mind while you’re away from home. 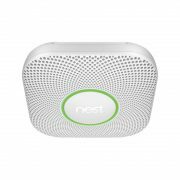 WiFi connection with internet access and compatible phone or tablet with the free Nest app and Bluetooth 4.0. Informative, not annoying: Got an alert on your phone but turns out you simply burned the toast? No worries. 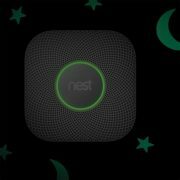 You can easily hush the alarm from your phone using the Nest app, simple as that. What’s more, the Steam Check feature ensures the alarm doesn’t go off simply because of a hot shower. Split-Spectrum Sensor: This feature can conveniently detect both fast and slow-burning fires, and also sports a 10-year CO sensor to detect and pinpoint the toxic, invisible presence of CO. Your device will then speak up and let you know exactly what and where the issue is. 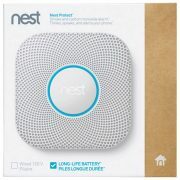 Battery backup: This model Nest Protect connects to your home’s wiring for power, and includes a battery backup for power outages. Considerate battery monitoring: Nobody likes getting woken up in the middle of the night to the sound of a low-battery chirp. That won’t happen with Nest Protect. When you turn the lights out to go to bed, the Nightly Promise feature emits a green glow to let you know everything’s alright for the night. Easy to install: Setting up Nest Protect to work with your smartphone can be done in a matter of minutes. Once you link up all your Nest Protect devices to your WiFi network, they automatically connect with each other so they’re all on the same page. Connected safety inspections: The Safety Checkup feature makes it a breeze to test your alarms. With a simple tap, you can check all your alarms at once to make sure everything’s okay. You’ll get a full report on your devices once the test is done. 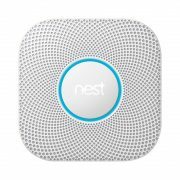 Nest Thermostat and Nest Cam compatibility: If you’ve got the Nest Thermostat and Nest Cam as well, you’ll appreciate an even safer connected experience. When the alarm sounds, Nest Thermostat turns off the furnace as an added safety measure, while Nest Cam records what’s happening so you can review it later. – Certifications EN-14604 Smoke Alarm Devices; EN-50291 – Electrical Apparatus for the Detection of Carbon Monoxide in Domestic Premises; EN-50271:2010, Electrical Apparatus for the Detection and Measurement of Vombustible Hases, Toxic Gases Or Oxygen; EN-50292 Electrical Apparatus for the Detection of Carbon Monoxide in Domestic Premises.